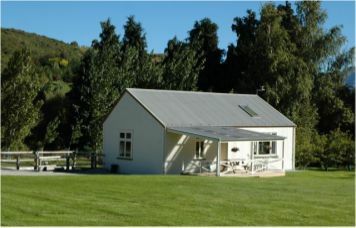 Various styles of country lodging near Arrowtown at Willowbrook. 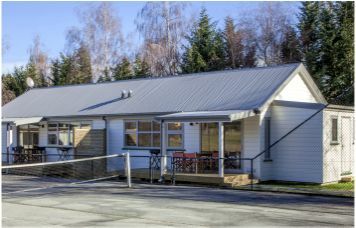 Willowbrook Country Apartments are located on the quiet 'country back road' between Arrowtown and Queenstown in the South Island of New Zealand. Willowbrook comprises a historic farmhouse built in 1914 (now converted into three self contained apartments) along with several outhouses. The former Shearers lodge quarters have been rebuilt as Cottage accommodation and a Hay Barn has also been fully renovated. 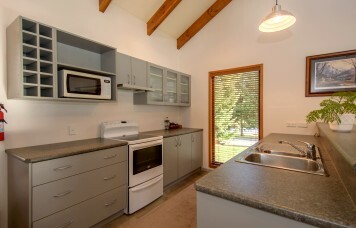 Our Queenstown accommodation offerings have recently been increased further with the addition of self contained Studios. This allows Willowbrook to offer varied styles of self contained accommodation for your upcoming ski holiday. We are at the base of Coronet Peak Ski field and only 15 minutes from Queenstown and 5 minutes from the famous Gold town of Arrowtown on the banks of the Arrow River where Gold was originally found in 1862 - the Gold Mining town of Arrowtown was named after the Arrow River. Check in time: From 2.00pm. Check out: 10.00am. Large Queen apartment Relaxing in the large lounge by the Ornamental Fireplace after a soak in the spa pool watching Sky TV is popular at Willowbrook. Spacious king apartment Relaxing in the large lounge after a soak in the spa pool has become very popular at Willowbrook. Large spacious loungeRelax and refresh yourselves in the spacious lounge with Sky TV. The Main House Studio Apartments have evolved from an extensive renovation of the old Willowbrook homestead. They are brand new, very spacious and fully self-contained. Bedding options are super king, queen and twin and each of these modern apartments has a double sofa bed allowing for a maximum occupancy of four persons. Ensuite bathrooms have underfloor heating and large showers (the Queen Studio Apt also has a bathtub) and there are powerful Rinnai gas heaters in the main room. Living areas are generously sized and have dining tables, chairs and sofas along with deluxe kitchenettes; the King and Queen Studio Apts have covered decks with barbecue. All apartments have Sky TV, DVD players and free Wifi. A laundry with washing machine, tumble dryer, drying racks and ironing facilities is available in the Main House for guests to use 8am to 8pm. 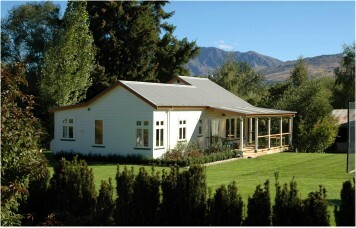 A short distance from the Main House is our Arrowtown Ski accommodation in the fully equipped self contained Cottage. Providing delightfully cozy two bedroom apartment accommodation for four people, it has Queen and Twin Single bedrooms both with ensuite bathrooms. Living areas look out over wetlands, home to a myriad of bird life, and up to the closest Queenstown ski resort, Coronet Peak. 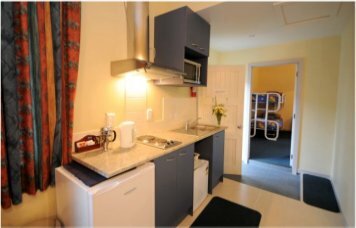 The rural chalet kitchen has everything you are likely to need from toaster and coffee plunger to microwave oven and dishwasher. With a floor-length window looking out onto the private lawn, it is bright and the open-plan design ensures those in the kitchen are always a part of what's happening in the adjoining lounge/dining area. Washing machine and tumble dryer are conveniently located along with an iron and ironing board which can be found in the kitchen. 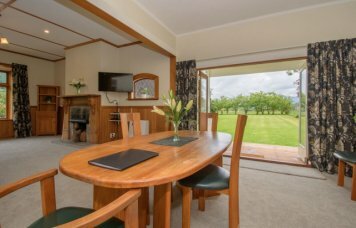 The Arrowtown Cottage has underfloor heating throughout - you will find the polished concrete floor warm to the touch - and wireless broadband for your laptop. Sky TV is provided for your entertainment and there is a gas barbecue on the spacious sundecks which surround The Cottage. With its own access road and car parking area, it is the perfect retreat for those seeking seclusion and independence. A very spacious and comfortable barn The BARN is a tastefully renovated hay barn consisting of two very large rooms. Basic Kitchenette in the BarnWhile not a full kitchen, there are all the basics. Dining table, chairs, etc with all utensils. 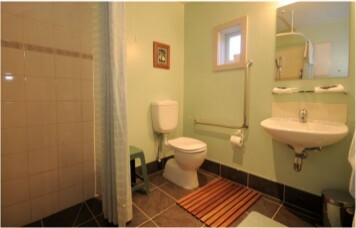 A very spacious and comfortable bathroom The larger room has a super king bed, ensuite bathroom. Separate from the Main House is the Barn accommodation with Annex, a tastefully renovated hay barn consisting of two very spacious rooms. The larger room has a super king bed, ensuite bathroom, lounge area (with Sky TV), dining table and chairs, and kitchenette. While not a full kitchen, there is a cooktop with two elements, a microwave oven, electric jug, toaster, coffee plunger, plenty of fridge space & a full set of cooking utensils, crockery and cutlery. Powerful gas heating is available at the touch of a switch or on a timer basis ensuring The Barn is cozy and warm when you wake in the morning and wireless broadband is provided for your laptop. 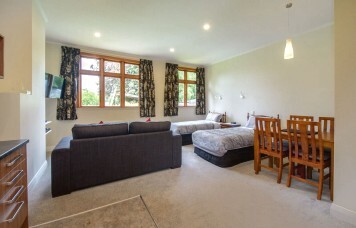 Through a connecting door, The Annex has twin single beds and is available for extra members of the same party or simply if more space is required. The Annex also contains two bunk beds which are used when there are 5 or more in a party. On the sunny north side of The Barn is a covered deck with gas barbecue - the perfect spot to relax in the shade in the summer (or to tune-up those skis in the winter!) 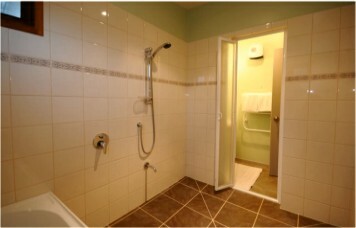 Laundry facilities are available in the Main House at the discretion of the managers. The Barn (with Annex) is ideal for those who prefer a little more privacy or for families requiring a self-catering environment. 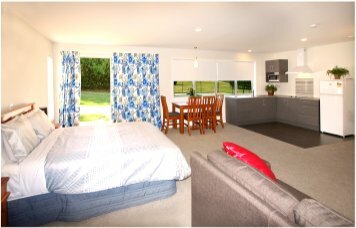 HIDEAWAY STUDIOS are our newest accommodation option. Relax on the king bed or relax on the deck outside your room. 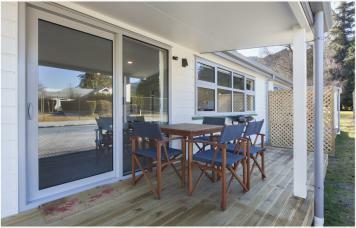 A large private deck Relax while sitting on the deck with BBQ outside your room. Willowbrook's latest accommodation option Beautifully appointed and very spacious (8m x 6m), each studio has a Queen bed with underfloor heating in the ensuite bathroom. Separate from the Main House are the new Hideaway Studios. 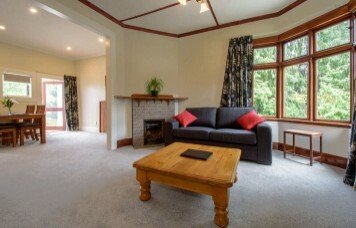 Hideaway Studios are our newest Arrowtown self contained accommodation option. Beautifully appointed and very spacious (8m x 6m), each studio has a Queen bed with underfloor heating in the ensuite bathroom. There is a superbly-equipped kitchenette with dining table, chairs and sofa* and a covered deck with barbecue. The studios have Sky TV and DVD player and there is also free wireless internet at all Willowbrook studios. A laundry/ski drying room is provided in the same building. *The sofa contains a comfortable double bed for up to two extra persons. Maximum occupancy is 4 persons.